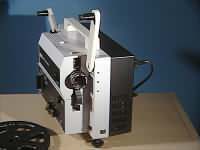 Eumig's projectors are considered by many as among the best, most reliable 8mm projectors in the world. 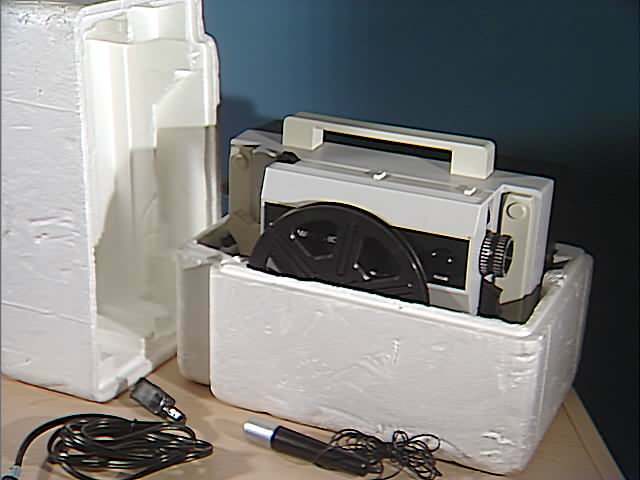 This Austrian-made Super-8 sound projector is no exception! Crisp sound & zoom lens allow for larger movies in very small area, or zoom in to reduce size for big areas. 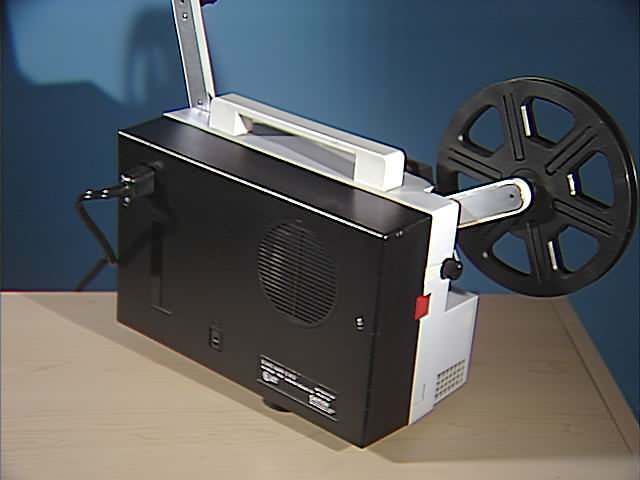 It is an easy to use, self-threading, hi-quality projector for Super 8 silent or sound movies. It works very well. Original list price for the Eumig Mark S-802 with f/1.6 17-30mm Zoom Lens for Super 8 Sound was posted at $363.50 in 1977 Consumer Guide "The Best of Photographic Equipment". During the past 10 years I have purchased used many older Kodak projectors and super-8 film cameras based upon old very positive reviews of their performance versus cost. Unfortunately, within seconds of turning them on, some brittle plastic part would snap and render them useless. Those that I purchased from thrift-stores were already useless. Every single Kodak M-Series projector I ever tried was hopeless, gone, and ready for the recycle bin. It is sad that a particular plastic type could totally incapacitate a company's best quality consumer products, from the past, by aging or by a formulation that had not been around long enough for thorough testing at time of introduction. 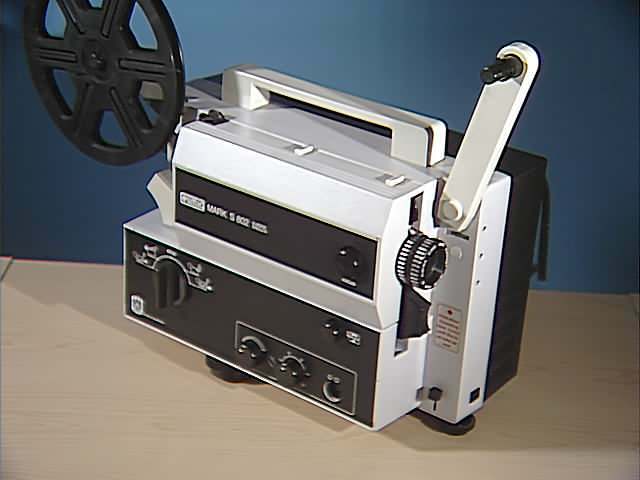 Important Note: This projector model was designed for Super-8 Silent and Super-8 Sound, as well as Single-8 playback only. It does not play Standard-8 movies normally, without the addition of a special optional sprocket adapter. I was surprised how well this system's auto threading mechanism works. If you follow the directions in the manual properly, you place the film in a slot and it actually comes out the backside of the projector and attaches itself to the takeup reel, ready to project. 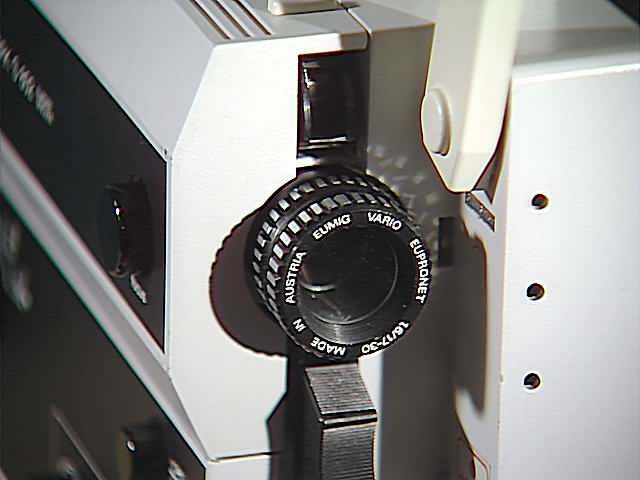 From what I have experienced and read, this system actually works, unless the film is bent, has bad splices near the leader, or is defective in some way. 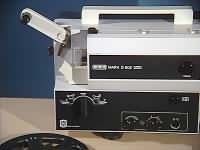 "EUMIG" of Austria makes the largest line of super 8 sound projectors. Although coverplates and little doodads may differ, the basic body and intermittent mechanism is the same, the casting of one model has fittings for features added to other models during other production runs." "The important differences (back in the 70's) are the electronics, which got better the more bucks you spend, the lamp, which gets brighter, and the lens, which gets faster with a broader zoom range. All machines have a 600-foot capacity." 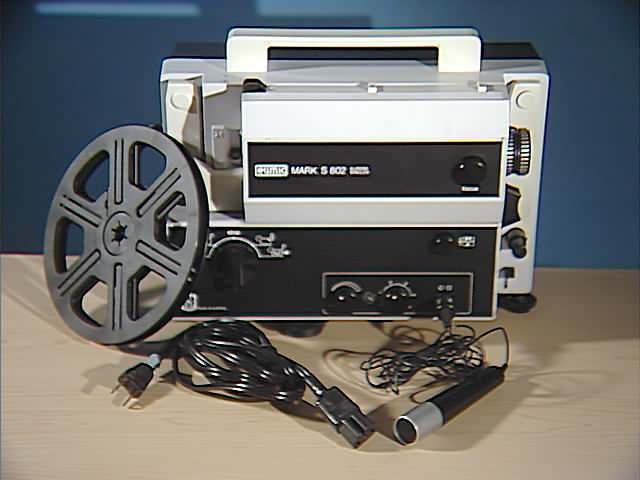 1977 Consumer Guide "The Best of Photographic Equipment" from Summary Review "Movie Projectors"
"Taken in its own terms, it is an efficient little Super-8 performer, straightforward and simple in operation. 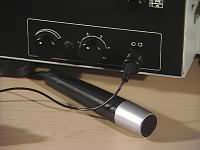 It has automatic sound level control, sound-on-sound recording capabilities, and a completely automatic threading system. 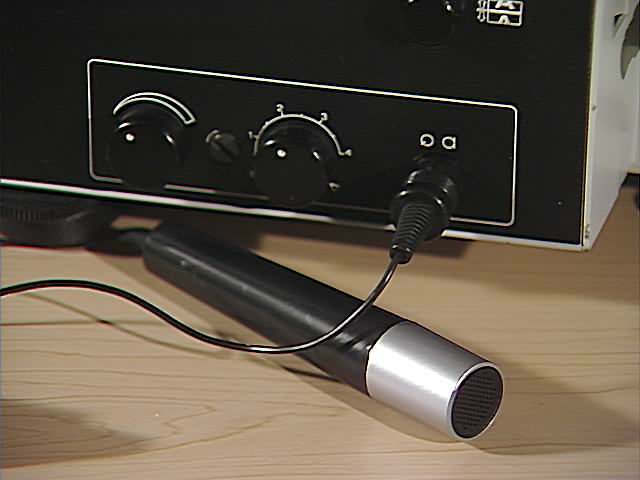 CONSUMER GUIDE Magazine recommends the S-802 as a worthy choice of amateurs whom are primarily interested in homemade sound movies." 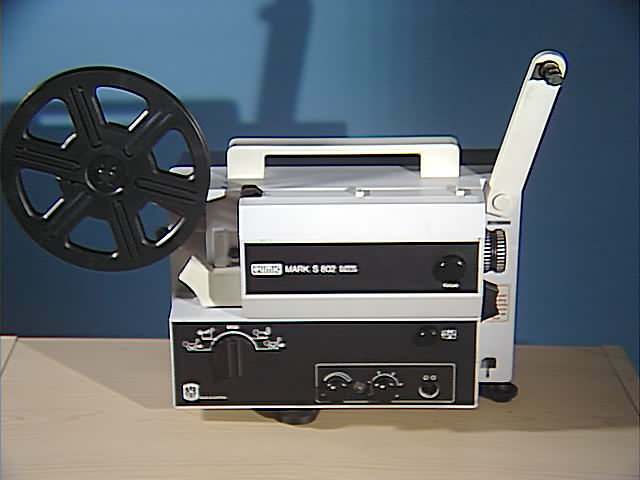 My Note: At that time, pre home video, the idea of any sound on home filmed movies was very cool. "Sound-on-Sound" means that you can edit a movie with its original sound, then add another layer of sound on top of the first, mixed right into it, so both will be heard as one. This would often be a narration or music track, for instance. 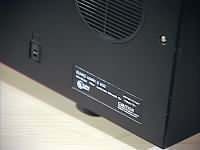 This projector allows you to adjust the level of sound added in relation to original sound. In modern times, most Super-8 movies are transferred to video first, and then edited with sound tracks mixed using newer digital technologies. This may not be the case for some film students, whom are learning the process of filmmaking in a more purist form. Not much room for mistakes with this system though, as the original soundtrack is modified permanently when second one is added; "No-Way-Back!" Early home video machines had this option too. 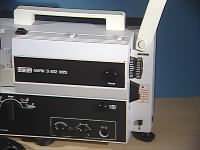 A solid metal sound projector by the Austrian company Eumig from the mid 70s. All content c. 2004 by R. D. Nelson unless otherwise indicated. All rights reserved.